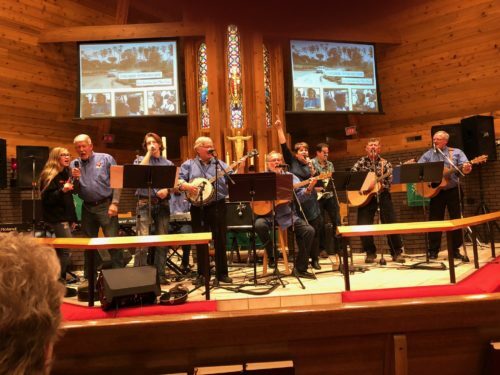 Popple Ridge Picker Concert – | "Northern Crossings"
This was taken at the Popple Ridge Picker concert held Sunday night at Immanuel in Grand Forks and well attended and much appreciated. Fund were raised for Project 24 and Christ Cares for Children Kenya. The folks at Immanuel are wonderful hosts and coffee and bars were served afterwards. The Pickers bring all their own equipment and set it up and Immanuel folks were able to plug into it and record the concert. Here is a link to the webcast from Sunday’s concert. This link will take you directly to the video. The Divine Service and Mission..